Today the boards of Royal & Derngate and The Core at Corby Cube have announced that, with immediate effect, Jo Gordon has been appointed Chief Executive of Northamptonshire Arts Management Trust and its venues. Steve Edmonds, Chair of Royal & Derngate said “Following a rigorous recruitment process, Jo’s commitment to the venues and her detailed understanding of the complex ecosystem of regional theatre really shone through, as did her proven commercial acumen and excellent leadership style. In the current climate, venues not only have a responsibility to be light on their feet with strategy and innovation, but to influence on a national level. We are thrilled that Jo has agreed to lead us through our next phase”. Gary Tait, Chair of The Core at Corby Cube added “Jo’s intricate knowledge of the diverse audiences of Northamptonshire, her passion for inspiring teams, and her personal commitment to putting culture firmly at the heart of this county make her the ideal choice for the role of Chief Executive”. Jo joined Royal & Derngate as Director of Marketing and Sales ten years ago and was appointed interim Chief Executive on the departure of Martin Sutherland earlier this year. She was part of the Strategic Management Team that formed Northamptonshire Arts Management Trust with Martin, and was central to the business-planning and launch of The Core at Corby Cube. She created the Made in Northampton brand, supported the creation and expansion of Northampton Filmhouse and has overseen Royal & Derngate’s growth in audience numbers, now delivering £28million of income to the local economy. Jo Gordon commented “I am proud to have played a part in the inspiring achievements of the last ten years and am properly thrilled to now be able to build on these as Chief Executive. We have a remarkable team which is rightly proud of our work, impact and reputation. The role of the arts in our communities has never been more crucial and I look forward to developing important local and national partnerships even further to help our county, my home and where I am raising my family, to thrive”. Jo has been a Trustee of Northamptonshire Community Foundation (NCF) for two years. 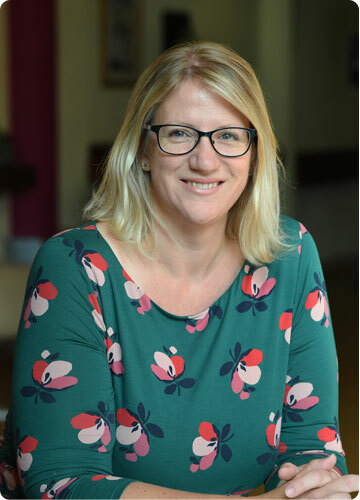 Chief Executive of NCF, Victoria Miles, added: “Jo brings exceptional inter-personal skills to all her interactions with our board and those we support, and is 100% committed to the betterment of Northamptonshire for local people. I am excited that she gets to bring all of this to her organisation as Chief Executive – a vital role within the region”. Prior to her role at Northamptonshire Arts Management Trust, Jo was a freelance marketing and press professional with clients including the Royal Shakespeare Company, Oxford Playhouse, Theatre Royal Plymouth, Leicester Comedy Festival and Creative New Zealand. Before that she worked for ATG for five years and was part of the team that opened Milton Keynes Theatre in 1999. Royal & Derngate is the main venue for arts and entertainment in Northamptonshire, with audience members for live shows and films numbering 378,000 last year, and an additional 115,000 people seeing its work on tour across the UK. In addition to its award-winning Made in Northampton productions, the venue also presents a diverse range of visiting productions on both the Derngate and Royal stages, including musicals, dance, comedy and music (including a residency from the Royal Philharmonic Orchestra), and screens the best of world, independent, British and mainstream films at the adjacent two-screen Northampton Filmhouse. It has a wide-ranging creative learning programme, engaging with over 21,000 people last year. Having opened its doors in November 2010, The Core at Corby Cube is a dynamic arts venue serving the communities in and around Corby and reaching out across the East Midlands. The Core is dedicated not only to entertaining people, but to supporting the community, fostering local talent, and developing skills for life through theatre, dance, music and comedy. Last year, The Core welcomed nearly 52,000 audience members and participants, with children and young people making up 18% of its total audience, with the organisation making a local economic impact of £3.7million.